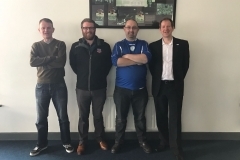 The Irish Supporter Network hosted the “Towards a Sustainable League” event at Tallaght Stadium on Sunday 26th March, with representatives of ISN founders Cork City, Finn Harps, Galway United Friends Co-operative and the 1895 Trust as well as other attendees from Saint Patrick’s Athletic, Shamrock Rovers, UCD, and Cliftonville of the Irish League. 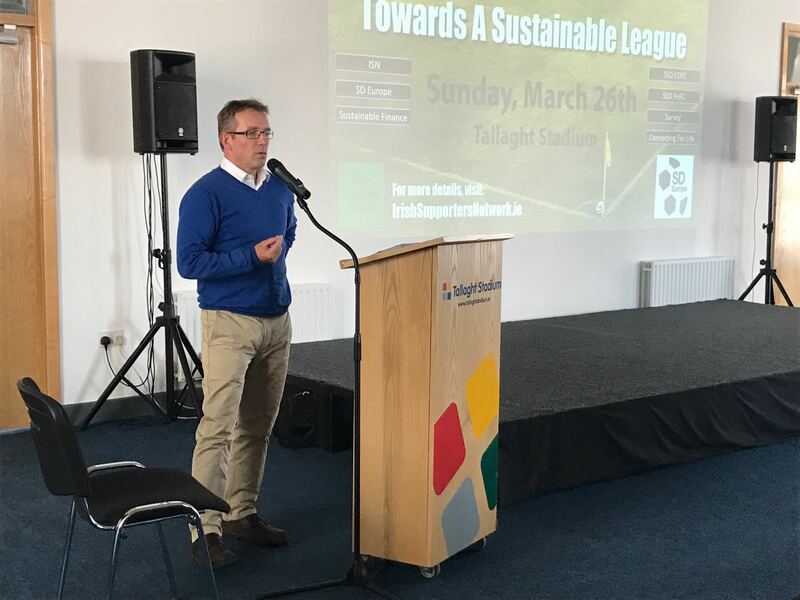 Opening the day, league director Fran Gavin emphasised the need to work together within the league and pledged the full support of the FAI for the ISN. 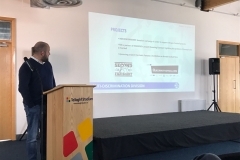 Representatives of founder members introduced themselves and explained that the purpose of the ISN is to encourage fan engagement and ownership at clubs, to share best practise between league clubs and also to offer help and support to any clubs or supporters groups that request it. 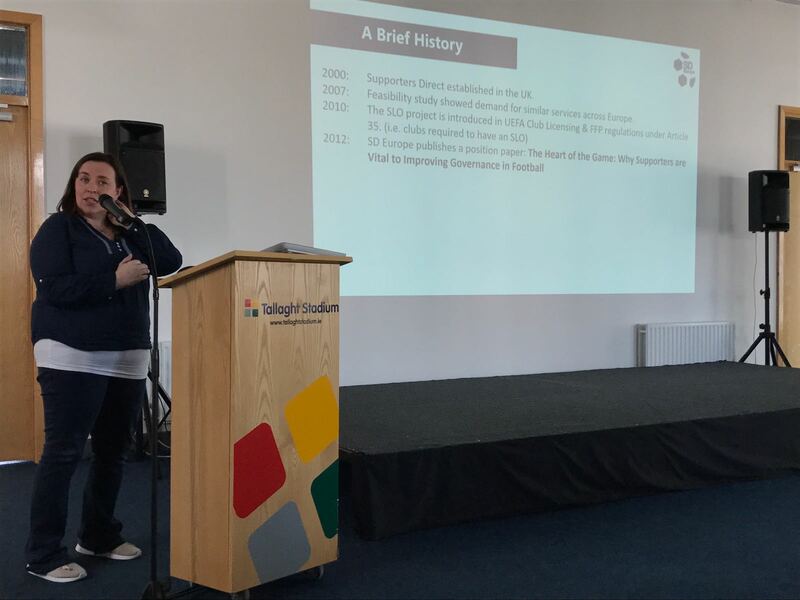 Niamh O’Mahony, acting CEO of Supporters Direct Europe then introduced her organisation, explaining the history of the organisation, its work with UEFA and the EU and its widespread membership around European Football. 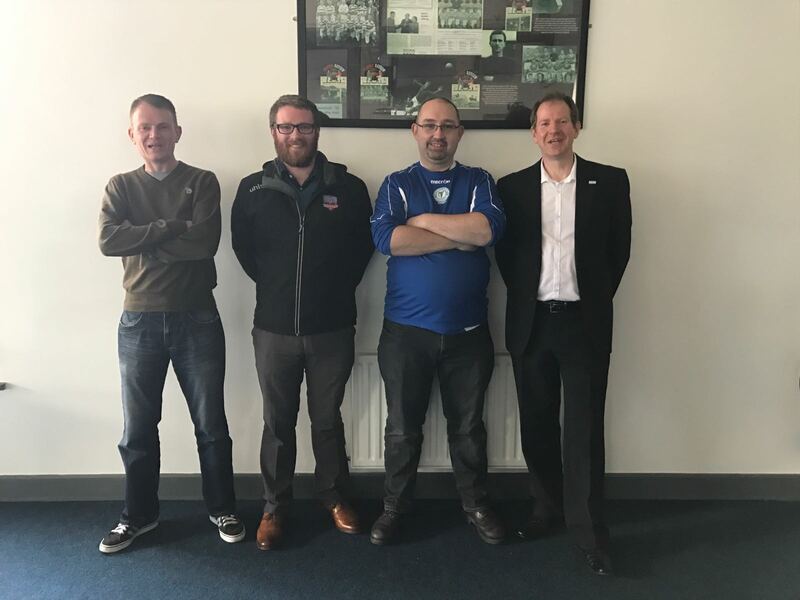 Gavan Duffy (GUFC) and Mike Derham (CCFC) then presented a section on sustainable finance at football clubs, noting that the importance of avoiding structural deficits and spotting the emergence of serious financial issues as early as possible through regular monitoring and planning. 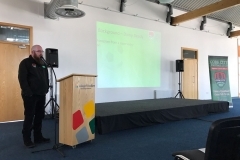 Dinny Deady and Alan Coughlan, Supporter Liaison Officers at Cork City, then presented an overview of the SLO role at clubs, noting the importance of communication between board and fans as well as between club SLOs in improving the match night experience. 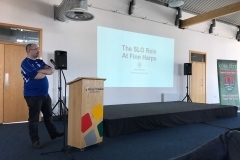 Aidan McNelis (Finn Harps SLO) then spoke on how the role has been implemented at his club, noting the challenges the role presents and how Harps have expanded the role to also focus on including exiled fans in the match night through a partnership with Irish Start-up company Mobstats. 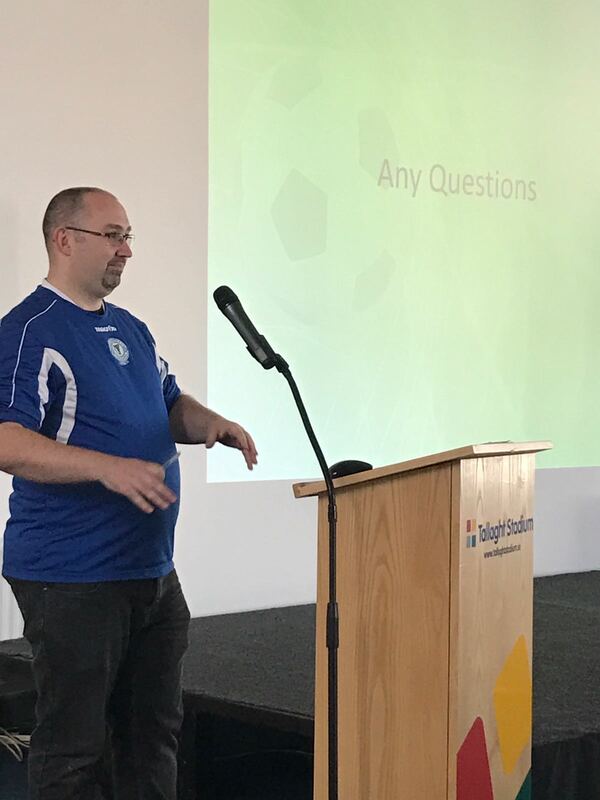 Ronan Evain introduced the Football Supporters Europe organisation and spoke about their work with UEFA to create fan embassies and also to promote the abolition of the ban of standing areas in European football. 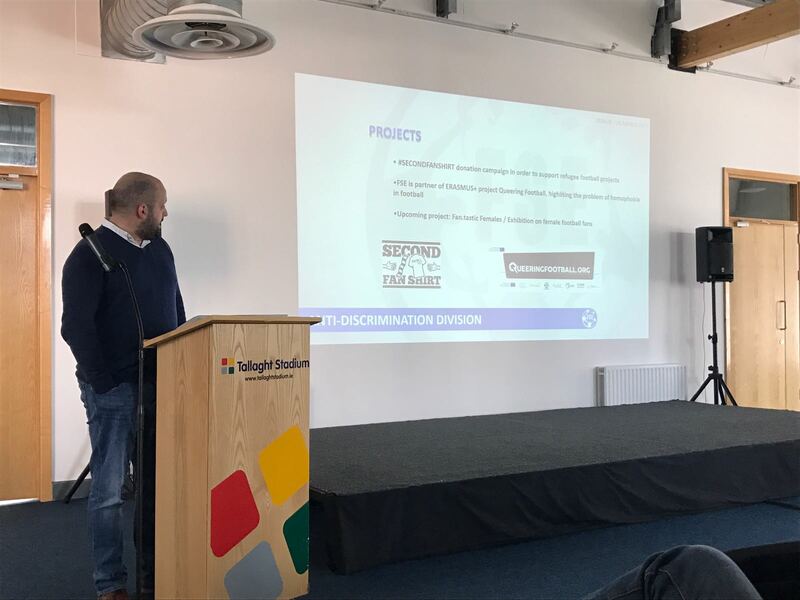 Sport Against Racism Ireland (SARI) made a presentation outlining the many projects their organisation is involved with while explaining the power of sport to break down barriers and bring people together. 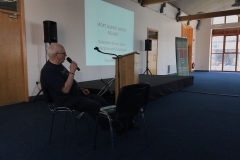 Peter Madden of Shamrock Rovers spoke about the club’s extensive Community Programme run by Graham Gartland which reaches out into local schools to build support for the club within its catchment area. 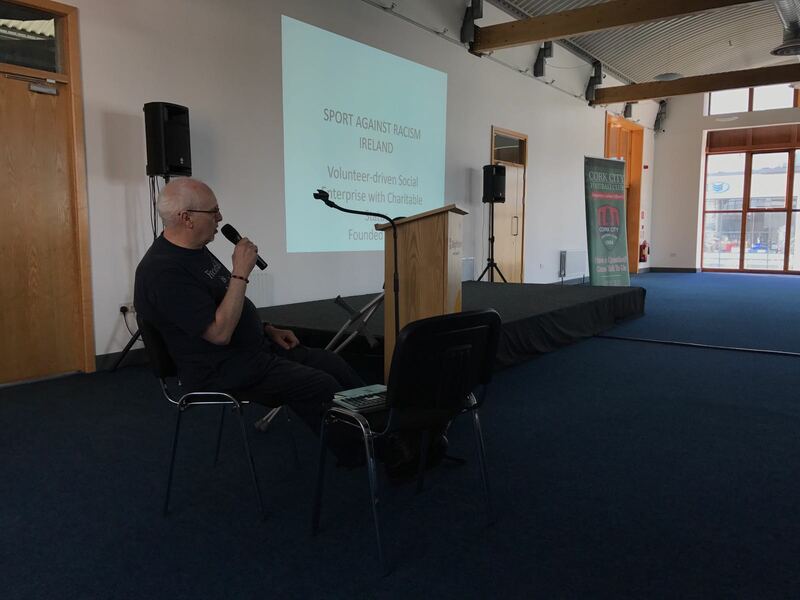 The final session was presented by Barry Worthington on the results of the survey conducted by the ISN in advance of the event with over 900 supporters providing responses and more than 750 answering every applicable question. 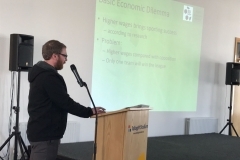 Approximately 94% of the respondents were male and two thirds in full time employment with was a good spread of ages taking part. 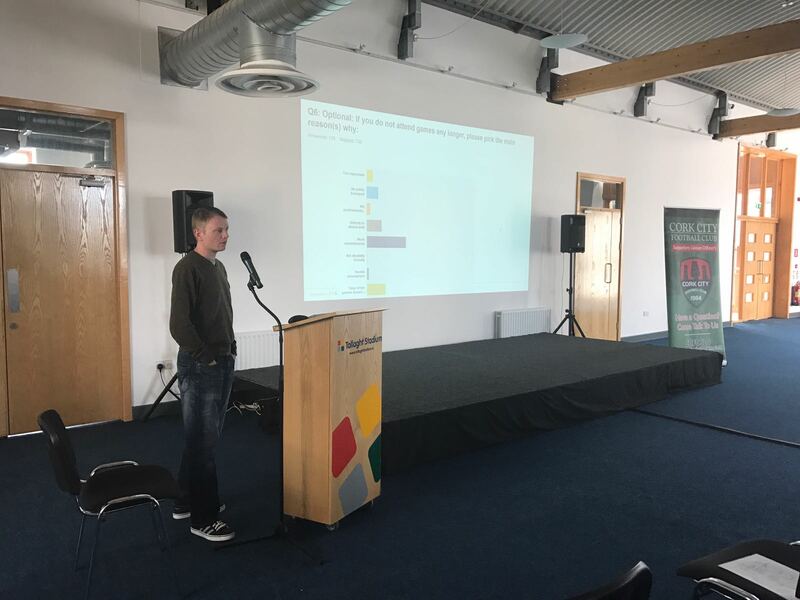 The survey revealed that most respondents are regular attendees at LOI games and also support an English or Scottish side, while only a quarter don’t support any club other than their LOI side. Work commitments are cited as the main influence on decisions to attend games and driving is the main mode of transport. 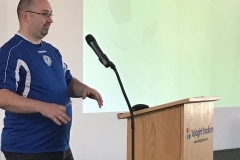 In terms of how supporters began supporting their team the main reasons were locality, family and tradition with the vast majority attending games with family and/or friends. 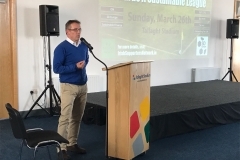 Most responses indicated LOI clubs are well linked into surrounding communities, while ticket prices were generally viewed as satisfactory with only very small number disagreeing. 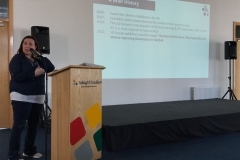 Facebook and Twitter were the main sources of information about clubs with a hardy few still remaining loyal to Aertel. 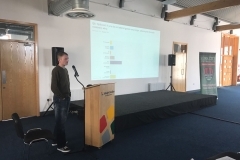 The results indicate many fans would like to see clubs publish more information and host more forums and meetings, but generally the results are positive about communication to supporters with only a quarter unhappy. 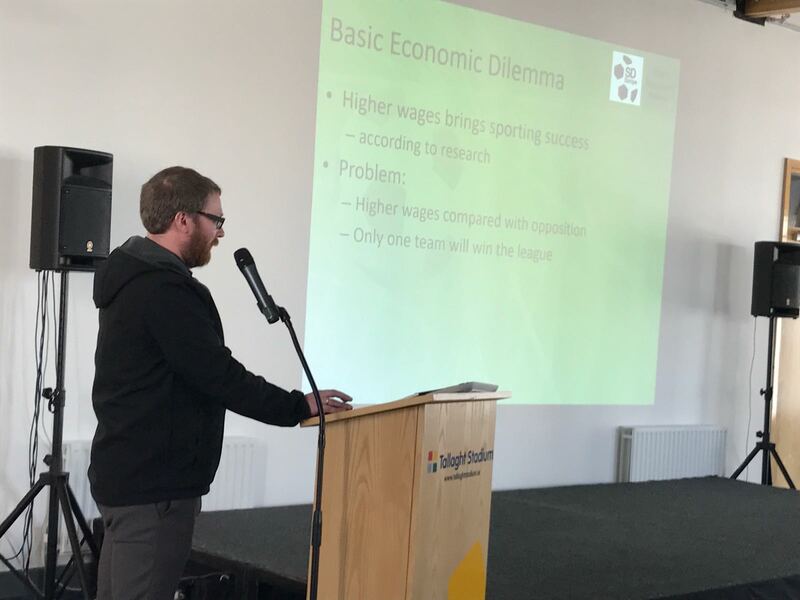 On match day, very few supporters (~10%) do not make purchase other than their ticket with most buying food or beverages within the ground and programmes also popular. 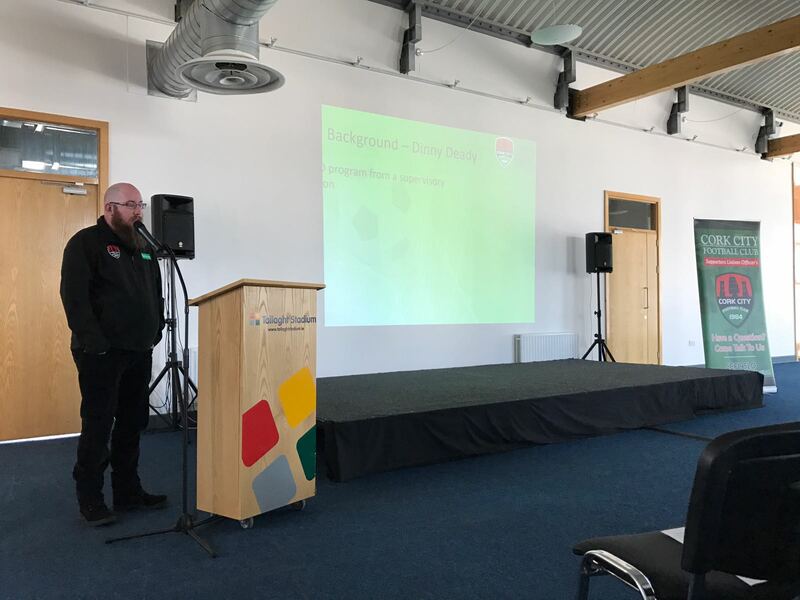 Asked what single thing clubs should attempt to improve, the stand out results were a better atmosphere at 20%, clean facilities at 18% and better food and drink in the ground at 15%. 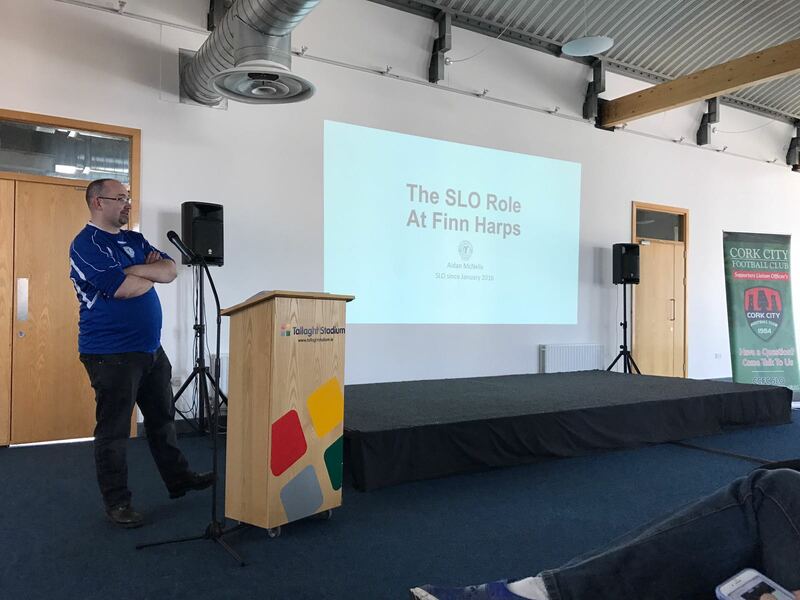 Looking at the SLO role, a majority of premier division fans knew that clubs appointing someone to the role is a requirement but only a third could name their SLO, while most first division club supporters were unaware of the role. A clear majority did see the potential of better dialogue between SLOs, stewards and Gardaí to improve match night experience though. Asked about flares and smoke bombs at matches, there was a spread of opinion with more people viewing them favourably than unfavourably.